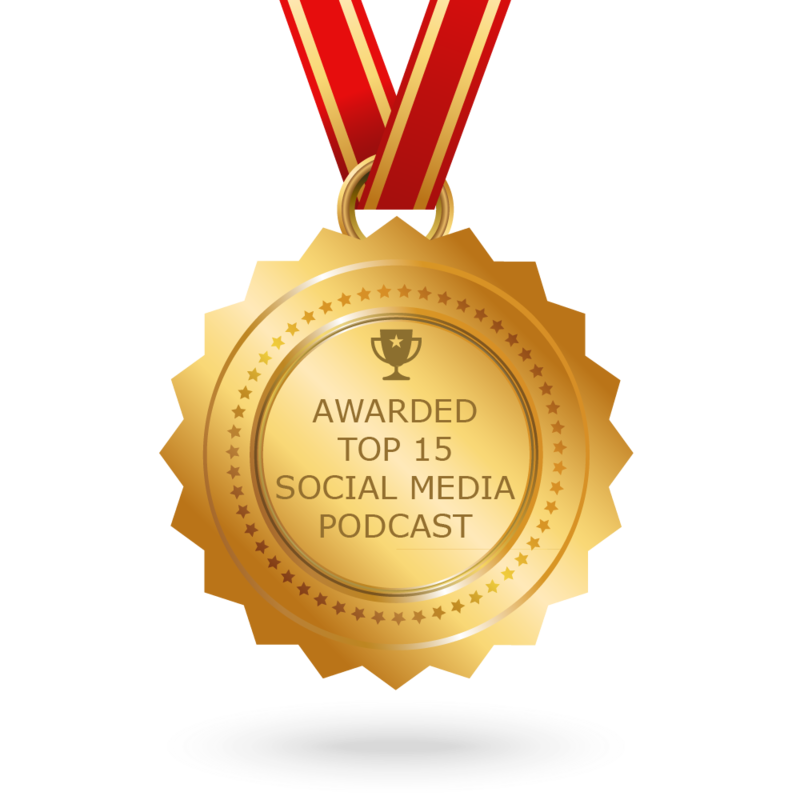 The Best Social Media Podcasts from thousands of Social Media Podcasts on the web using search and social metrics. Subscribe to these audio podcasts because they are actively working to educate, inspire, and empower their readers with frequent updates and high-quality episodes. Social Media Podcast newsletter is a comprehensive summary of the day's most important audio podcasts episodes from the best podcasters on the web, and delivered to your email inbox each morning. To subscribe, simply provide us with your email address. About Podcast Social Media Examiner helps millions of businesses discover how to best use social media to connect with customers, drive traffic, generate awareness and increase sales. About Podcast In this podcast Josh Ochs teaches 100,000 parents and students how to shine online. He shows you how to audit your Google results and use your social media accounts as a portfolio of positive accomplishments to shine online. Facebook fans 600. Twitter followers n/a. About Podcast Good Girls Get Rich Podcast with your host Karen Yankovich is where you embrace how good you are, girl. Stop being the best kept secret in town. Learn how to use simple LinkedIn and Social Media Strategies and make the big bucks. Facebook fans 10,468. Twitter followers n/a. About Podcast In The Art of Paid Traffic, reveals the best paid traffic tips, tactics and strategies for generating leads and sales on autopilot for your business. Together with expert guests Rick dives into Facebook ads, YouTube ads, Twitter ads, Google Adwords, retargeting and more. Facebook fans 16,201. Twitter followers 5,728. About Podcast Social Media and Politics is a podcast bringing you innovative, first-hand insights into how social media is changing the political game. Facebook fans 461. Twitter followers 1,097. About Podcast This is a podcast for marketers and entrepreneurs looking to get on the social media fast track. Tyler also shares tools and processes he personally uses to help him with social media management, marketing, productivity and more. Facebook fans 4,755. Twitter followers 4,179. Sydney, New South Wales About Podcast A social media strategist and Facebook Ads expert Todd combines his background in design and advertising to help connect brands, businesses, products and services to their audiences on social media. Facebook fans 46. Twitter followers 9. Facebook fans 998. Twitter followers 1,058. About Podcast Social Media Stories strategist and online entrepreneur, Brock Johnson discusses the latest trends in social networking, the best online business practices for growing your brand and latest tricks and tips on Social Media. Facebook fans 802. Twitter followers n/a. Texas About Podcast This podcast is mainly for everything about Pinterest, Jeff Sieh explores best practices, strategies and demonstrations with several power pinners. Once in a while, Jeff covers other social networks like Facebook, Twitter and Instagram too. Facebook fans 1,560. Twitter followers 6,213.